Amaan Systems LLC is a one of the major leading contractors in Fire Protection & Security Systems, established in Ajman, and growing rapidly as one of the leading professional companies. Amaan Systems is a company related to Ajman Holding Group, owned by His Highness Sheikh Abdul Aziz Bin Humaid Al Nuaimi. The company has demonstrated commitment to quality, innovation and professionalism in each product areas providing customers the comfort of dealing with a single entry. We are 100 percent committed to providing with the highest quality and products availability. We bring together expertise in the areas of Fire Alarm Systems, Fire Fighting Systems, Fire Extinguisher in Complete series. All our Products are under the approval of related department in UAE. We enjoy a close relationship with a number of local authorities and housing associations, and our systems engineers frequently work in premises occupied by vulnerable residents’ for whom the provision and maintenance of adequate emergency lighting is indispensable. 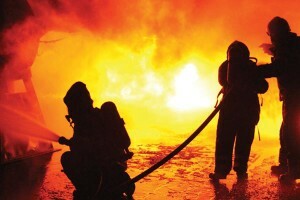 Amaan Systems has built up an unrivaled knowledge of the fire industry. We have carefully chosen our product suppliers based on that experience, together with what we know our customers require from a fire system. We understand that your needs are unique. Our trained service technicians and Customer Care Representatives will provide fire protection solutions specifically tailored to you and your property’s needs. Our team of Technicians and Engineers have years of experience in the fire protection industry. They know what is required to install and repair equipment as insisted by the UAE Fire Codes. relationship with the entire team. We envision a leaders position for ourselves in providing comprehensive and reliable fire protection solutions and making the world a safer place to live in. We will continue to focus on achieving Total Quality in Fire Protection Solutions so that we become the No. 1 choice for our customers. Our mission is to make the fire protection industry more positively equipped, reliable and safe. We strive to be recognized for quality fire protection systems by our customers, employees, vendors and other stakeholders.